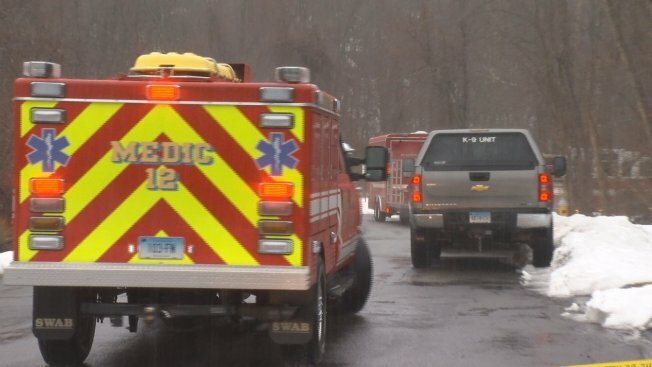 Rescuers continue to search for a missing Plainville man in the wooded areas off North Mountain Road in New Britain after he did not return home Saturday. Authorities believe 64-year-old Arthur Williams went hiking Saturday. They said he was last seen wearing jeans and a camouflage Army-style jacket. He had a black backpack and was holding ski poles or walking sticks. He does not have a cell phone. He was seen walking west on North Mountain Road in New Britain in the area of Pinnacle Mountain near the Metacomet Trail around noon Saturday. Williams' family told authorities he has been known to hike in the area, but has not gone this long without coming back before. A Connecticut State Police helicopter was called in to assist Plainville police with the search Sunday afternoon. Police suspended the search when it became too dark to search Sunday, but rescue crews are out again and they are dealing with rain and some fog. "It's going to make the situation slippery. Visibility is low and we're not able to utilize Trooper One (helicopter) again on a second day because of the conditions," Lt. Eric Peterson, of the Plainville Police Department, said. Peterson said Williams knows the area and the trails well. "He grew up in the area and hiked up there since he was a kid, so he knows the whole terrain really well," Peterson said. Williams' son said authorities are keeping family members out of the search area for now so K9s can conduct a search, but he is determined to find his father and is hoping to go into the woods today. Anyone with information about Williams' whereabouts should call the Plainville Police Department at 860-747-1616.